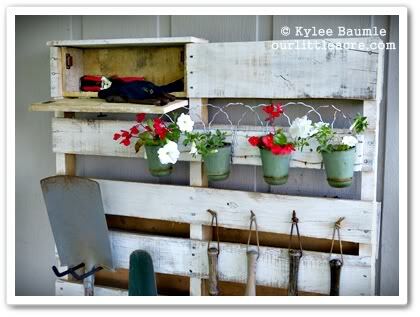 DIY Pallet Wood Garden Organizer Add to Flipboard Magazine. DIY Pallet Wood Garden Organizer is the perfect project for early spring. Having your garden tools near by and all in one place is invaluable. Nothing irritates me more than heading out to the garden to work and my tools not be there or they are caked with dirt from someone borrowing them and not cleaning them. But that is a subject for another post. Using old pallets in the garden area is nothing new. I have seen them used for years as planters, especially vertical planters. I have also seen them used as walking paths in raised gardens. They just keep the weeds from growing up in the walk path and keeps the gardener out of the mud and dirt as much as possible. 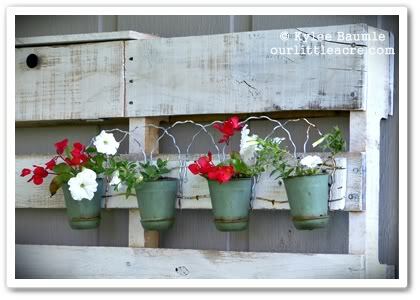 I just love the look of this DIY Pallet Wood Garden Organizer. You can create it to handle the tools that you use all the time. The directions are simple and easy to follow. This would be a great Saturday project. I love that this has a place to put flowers, it makes me smile. I think it adds that touch of elegance that we need in our lives. I am all for anything that makes me smile. Using materials that are recycled and found for free in many cases is ideal for any project. You will use old wooden pallets for this project. Grab that old edging fence to fancy it up. 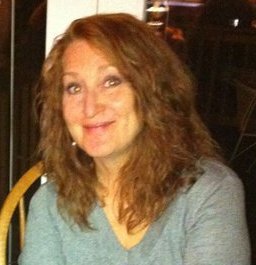 You will need a few screw and some hinges, but if you look around your husbands garage you will probably be able to find what you need for free. You might have an extra hose hanger laying around, if not, they are pretty cheap at the hardware store. Any color paint will work, but you do need to paint it or seal it in some way or the pallet will rot. Where to begin? You can find the full directions here. Begin by getting all your materials you will need for this project together. I hate when I am involved with a project and about a quarter of the way into it and I need something from the store. I hate stopping and running to the hardware store. So I like to make sure I have everything I need before I begin. This might work for you as well. The instructions on this project are easy. They tackle the small compartment first by cutting the board where the compartment will go. They give good instructions on how to make the top and the bottom and then the door. It seems easy enough for even me to do. That’s really about all that you need to do. Next he paints it and then hangs it. He puts on the planters and the things that you can hang shovels from and that’s about it. Sounds easy…right? I think you can do this and I know I can. 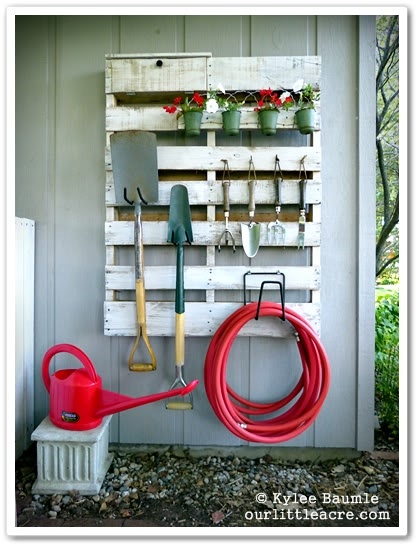 This DIY Pallet Wood Garden Organizer will be my early spring project for 2015. When will you tackle it? No matter when you do….just have fun with it! this is absolutely beautiful and brilliant. It is always easier to work when you find what you need to accomplish the job in order, clean and ready to use. But the hard part has always been organization. This DIY pallet wood garden organizer will definitely take care of the most important step to enjoying gardening.